With the release of 2016 televisions on the horizon, big discounts on all remaining 2015 models are on the way. And if you are looking for a large screen display, and I mean very large, as in 75″ diagonally; then I suggest you keep your eyes on the Sony 75″ XBR75X910C. 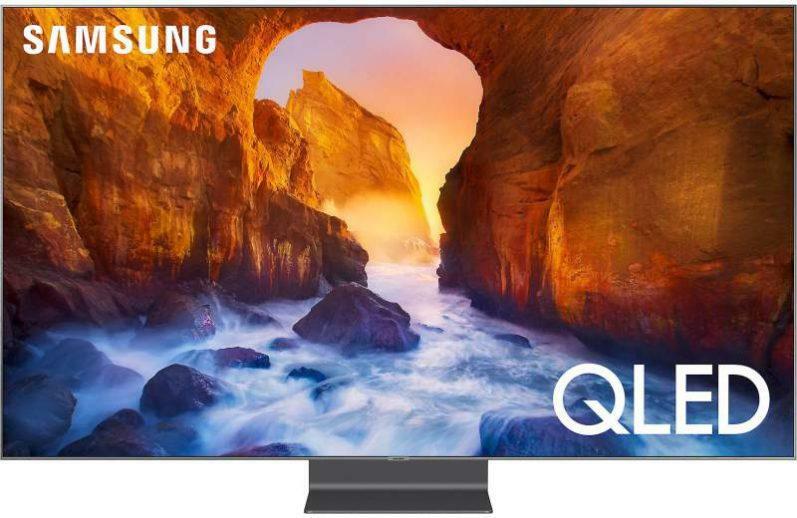 Right now this TV is still a bit pricey, but as the year progresses towards the release of this year’s new HDTV’s lineup, the price of this mammoth display will surely drop. 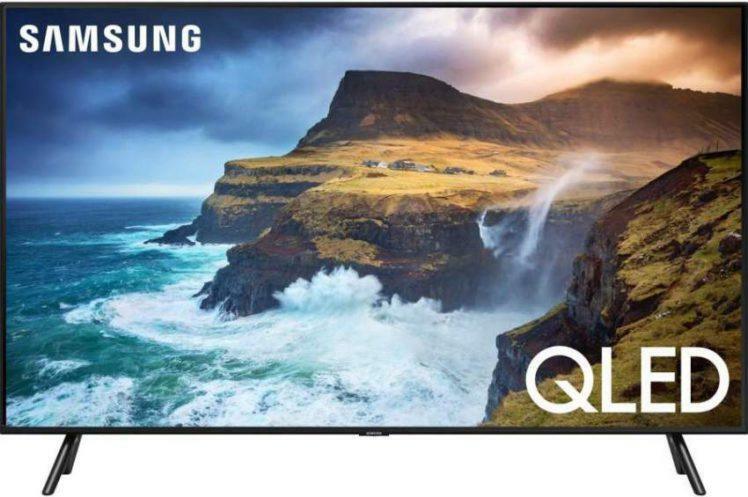 I recently had the opportunity to audition the 910C, and afterwards, I walked away feeling very impressed with this excellent performing 4K UHD TV. 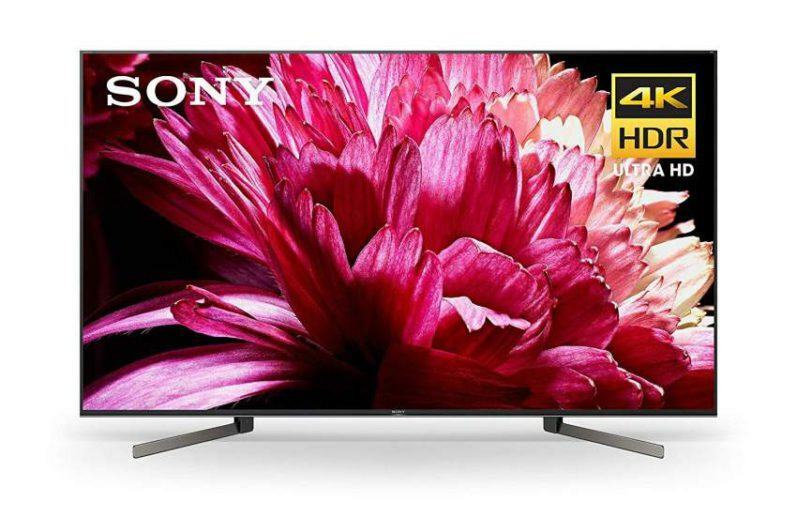 The status quo with flat panel TVs is a design statement that is slim and trim and room decor friendly, and the XBR910C doesn’t deviate from this industry trend and features an ultra-thin panel incorporating what Sony calls a Vanishing Edge screen. This gives the illusion that the TV’s screen is floating in mid air. 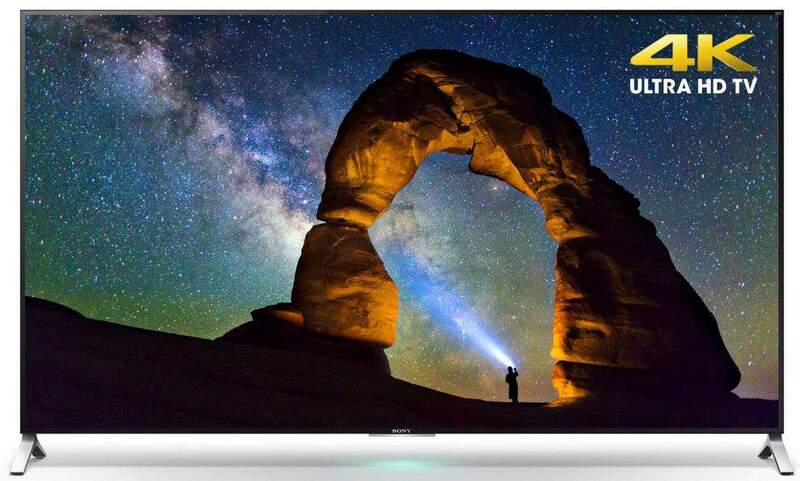 The 75″ glossy screen is illuminated with Sony’s Dynamic Edge LED backlight technology with frame dimming for increased picture contrast and black levels. The display panel rest on two adjustable pedestal type feet. 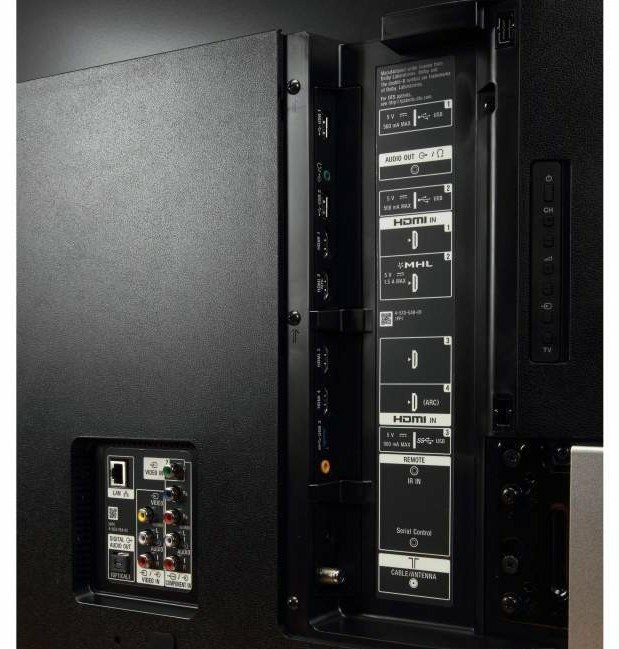 The feet can be mounted at the outer edges of the panel, or set inward to a width of 29.25 inches to fit a smaller A/V cabinet. The sets slim profile is a bit bulkier at the bottom to accommodate its electronics and down firing speakers. HDR (High Dynamic Range) capable for extended picture contrast and brightness with streamed HDR content and the forth coming 4K blu-ray format. The XBR910C’s immersive screen is a joy to watch. This large screen display grabs your attention with a bright, detailed and dynamic picture image. On-screen 4K images portrayed a very life-like and three dimensional presentation filled with generous amounts of clarity and fine detail. For example, a wide shot of an ocean seashore allowed me to see the intricate details and the ripple effect of each wave from an extreme long distance shot. This shot also allowed me to see the excellent image depth this TV is capable of revealing. The color performance on this display was quite remarkable. I thoroughly enjoyed the vivid color palette rendered on this TV. Colors were exceedingly rich and natural in appearance, and were presented with accurate shading and very good tonal balance. This combination made for some of the best color reproduction I’ve seen to date. Contrast and black levels were also strong attributes of this TV. Black levels were satisfyingly deep and dark which made dark scenes appear natural without any grayish overtones detracting from the picture image. In addition, the images I viewed that contained a combination of bright highlights and dark blacks revealed the TVs very good contrast range capability. Screen uniformity appeared to be good on this set as I didn’t detect any light bleed or clouding when viewing a black screen. Side angle viewing on this set was actually above normal when compared to what I would typically see on an LED TV. I was pleasantly surprised at the very minimal amounts of contrast and color saturation loss when viewing the 910C at very wide angles. 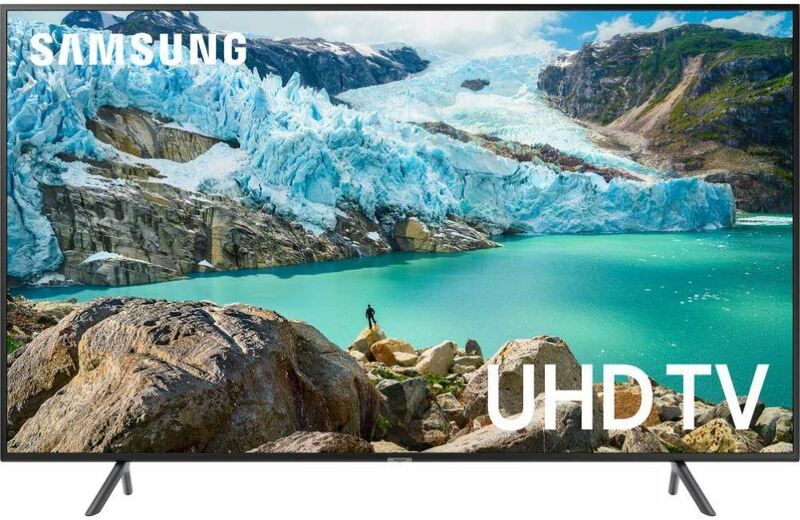 In my opinion and experience, the XBR75X910C is one of the best performing LED TVs currently available. Its stunning picture quality is sure to please most any viewer and performs very well in the key picture factors of image detail, clarity and refined resolution, in addition to its outstanding color rendering capability and its very good contrast and black level performance, all packaged in a extra large 75″ display panel that should bring you years of viewing enjoyment.